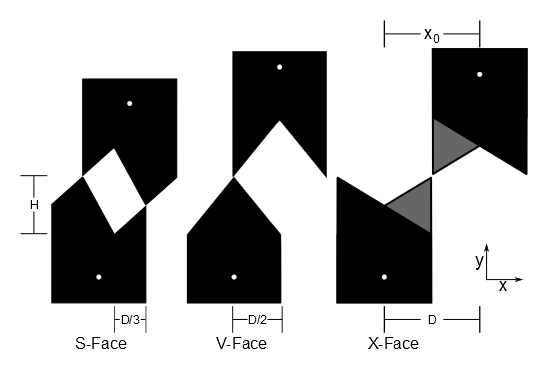 Traditionally, there are two types of geometries for self-aligning mechanical connectors: based on the resemblance to certain letters, we call these the V-Face and S-Face. It has been shown in previous literature that for connectors describable as a function (physically, that is connectors composed of a single layer of material), the S-Face and V-Face have reached the bounds on self-alignment if rotation is not considered. If, however, we allow ourselves to take advantage of the third dimension, we can compose a geometry out of multiple layers which has greater acceptance than any single layer. We take the step to analyze rotational offsets as well as linear, in order to ensure a fair comparison. We call this area of the combined x and theta offsets for which acceptance occurs the area of acceptance. Furthermore, we compare area of acceptance over the space of possible design parameters, including rotation point location and steepness of the geometry. 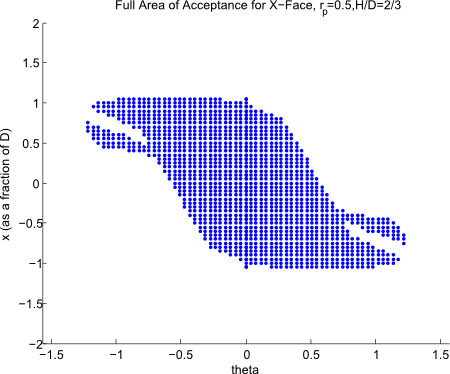 Over the design space considered we found the X-Face to have on average a ~138% greater area of acceptance than the S-Face, and an ~88% greater area of acceptance than the V-Face. The simulation environment takes advantage of a priori collision detection, as well as dynamic simulation with some simplifying assumptions to determine success or failure to dock. The area of acceptance is determined numerically in Matlab; we step over individual (x,theta) points to find an approximate area of acceptance. These are combined and averaged to compare the geometries relative to one another. The relatively high area of acceptance for the genderless X-Face compared to the S-Face (the previous genderless maximum) and the V-Face (the previous gendered maximum) have led us to the conclusion that the X-Face represents a significant improvement over existing designs. We intend to expand on this design for future work into the 3D domain, and hope to construct a new connector design which will be widely usable in robotics. 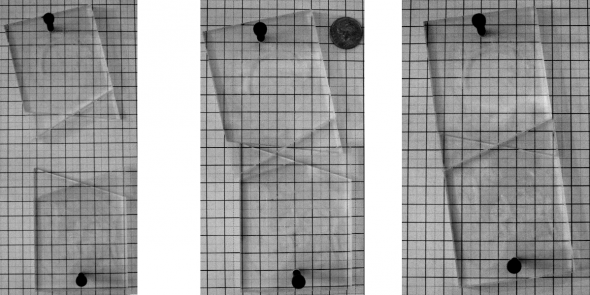 Nov 12, 2012 | Filed under CKbot, Connector Design, Programmable Matter, Uncategorized and tagged with neck.